The year is 1569, and in a cold, stone room in a Staffordshire castle, a group of women sew elaborate tapestries. Rich or poor, at home or held against their will, four women’s lives intersect on the point of a needle. Embroidery is their escape, their sanity, and their expression: of love, loss, artistry and power. For these women’s stitches have the power to change not just their own lives, but the course of English history. The year is 1569. Elizabeth I is Queen of England. Without an heir to the throne, political unrest grows. She has spies everywhere, and there are rumours of threats against her life. They begin to centre on her cousin, Mary Queen of Scots. When Mary arrives in England, escaping Scotland in fear for her life, Elizabeth sends her to Tutbury Castle, the home of Bess of Hardwicke, once the richest woman in England. Is Mary a guest, there for her own safety, or is she Elizabeth’s prisoner? In The Glove Thief, the three most powerful women in England are seen through the eyes of an ordinary young girl: Rose. When Rose is accused of stealing, Bess steps in and takes her into her household, on the condition that Rose spies on Mary for Queen Elizabeth. Rose must spend her days sewing with Mary and her attendants. Sewing is a subversive and escapist act at the heart of the play: for Rose, it is an art form and a chance to break away from her background; for Bess, it is an expression of her love and loss, and liberation from her marriage; and for Mary, it might literally be her way out of captivity. 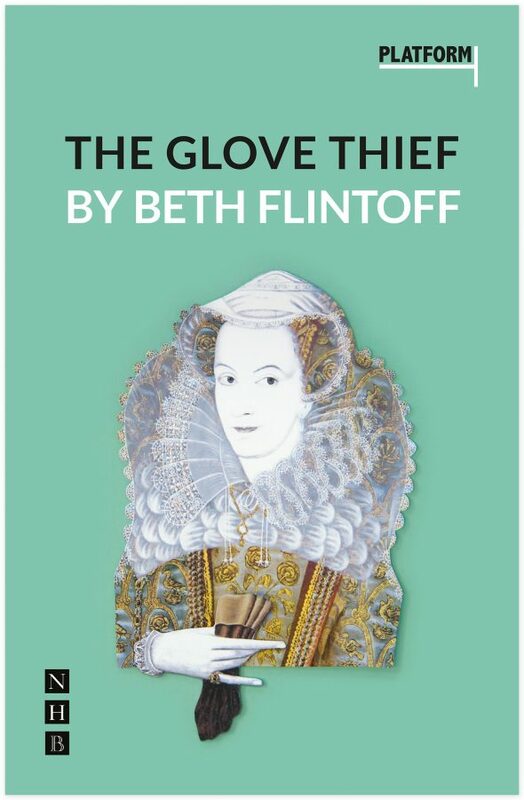 The Glove Thief turns what we think we know about the narratives of history upside down, casting its main characters as funny women with distinct and conflicting personalities and motivations. Can these women’s stitches change, not just their own lives, but the course of English history? The intention is that you can perform this play with minimal set and costumes, or go all out and have the full Elizabethan extravaganza – whichever you choose. The play can be performed by a minimum of sixteen people (twelve female and four male), with no maximum size. New scripts for young actors which put girls and their stories centre stage. Commissioned by Tonic Theatre and published by Nick Hern Books.